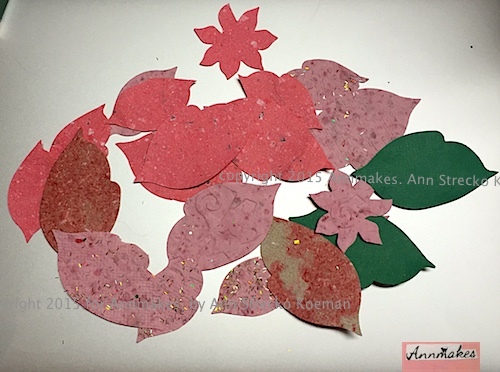 Hi, how would you like to learn how to make some of your very own papers and save money for other art and craft making supplies? Well, here is my tip: SAVE all those Christmas and other Holiday gift wrappings that you or someone you know will be getting and turn them into great paper and bases for future projects. I have been making a lot of my own papers for card making, and other paper crafting for a couple of years now. 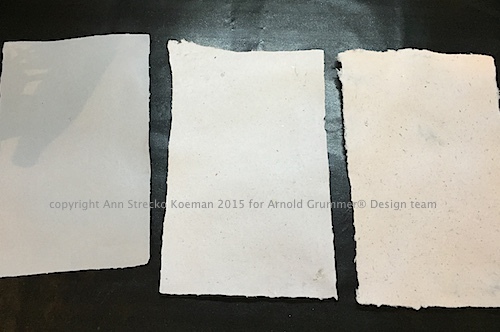 It all started when I joined the Arnold Grummer Paper Making Design Team and I got my very own Paper Making kit. I learned the AG method very quickly and I was on my way. Today I share this tip over at the AG blog (click here). 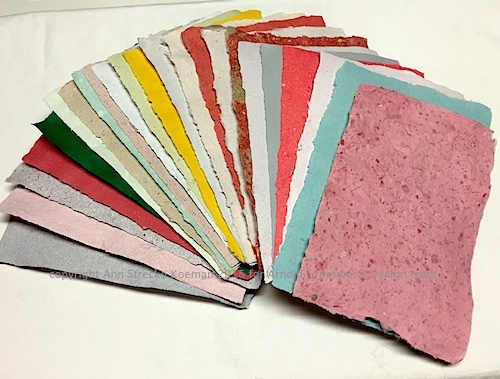 Over the last few years many many of the projects I have posted with paper projects have been made mostly with this handmade paper. 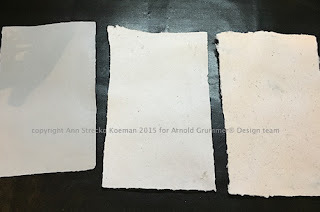 Over at the AG blog, ALL my projects are made with my handmade paper. Every sheet of handmade paper is unique and lends itself to different results with each application. So it makes for a really fun medium to work with in my Mixed Media. Most of my attempts at using my own handmade papers have been successful, a few though were not so good. Handmade paper is a bit more fragile sometimes and cannot get as wet as some mechanically made papers, so just remember that. It takes practice to be able to have success with these papers when using very wet mediums. So what can you save to make your own papers? Just about anything that you can blend in a blender essentially. Yes, if you can shred it and blend it with some water then you can make it into paper. 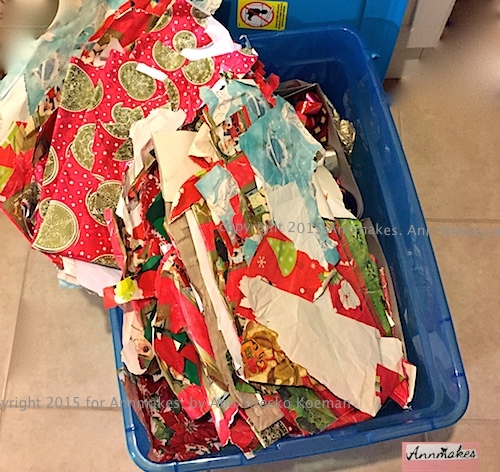 I save junk mail, gift wrapping, envelopes, magazines, etc. If it was made from paper to begin with it can become new paper again. It is also possible to make paper out of cotton linter which is sold as such. Once you get started making your own paper it is addictive and leads to many creative opportunities.